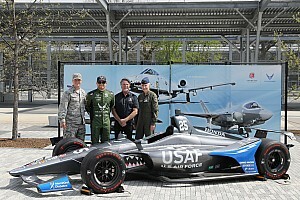 Andretti Autosport-Honda’s fifth driver for the Indianapolis 500, Conor Daly, has revealed the #25 car’s livery which pays tribute to fighter jets from the U.S. Air Force's past and present. JR Hildebrand is to return to Dreyer & Reinbold Racing for the Indy 500, this time carrying the #48 made famous by Dan Gurney. Chip Ganassi spoke to a group of eight media personnel at Long Beach last weekend, on the topics of resident champion Scott Dixon (he’s not slowing down), rookie Felix Rosenqvist (he should slow down), international races, guaranteed Indy 500 berths, running more cars (including Indy Lights), sportscars, and more. David Malsher reports. Marco Andretti is to run a special livery at this year’s Indianapolis 500, honoring the 50th anniversary of his family’s only triumph as a driver in the Memorial Day Weekend classic. Indianapolis Motor Speedway has confirmed that next Wednesday’s NTT IndyCar Series test will see 28 drivers hit the track, and that the Turn 2 viewing mounds will be open to the public. Chip Ganassi Racing’s Felix Rosenqvist was left annoyed at his mistake in qualifying, but still emerged from the Acura Grand Prix of Long Beach with top rookie honors as his principal rivals all hit trouble. An artificially low qualifying position at the 45th Acura Grand Prix of Long Beach gave Arrow Schmidt Peterson Motorsports a tough job last Sunday, but it responded with commitment and smart thinking. 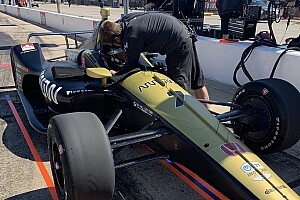 James Hinchcliffe’s race engineer Will Anderson explained to David Malsher the Arrow SPM mindset. Andretti Autosport’s Alexander Rossi has dedicated his triumph in the 45th Acura Grand Prix of Long Beach to his grandfather, whose death he only learned of today. Alexander Rossi drove his Andretti Autosport-Honda to a second straight victory in the Acura Grand Prix of Long Beach, beating Team Penske's Josef Newgarden by over 20 seconds. Harding Steinbrenner Racing-Honda’s Colton Herta grabbed top spot in raceday warm-up for the Acura Grand Prix of Long Beach, beating Marco Andretti by quarter of a second. 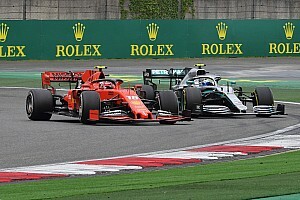 McLaren CEO Zak Brown has admitted that it is probably only a matter of time before McLaren joins the NTT IndyCar Series with a full-time team, although whether that happens in 2020 or 2021 has still not been decided. Alexander Rossi delivered a brilliant qualifying lap to score his second consecutive Long Beach IndyCar pole by over a quarter of a second to beat Scott Dixon, the three Team Penske-Chevrolets and Graham Rahal. Defending Acura Grand Prix of Long Beach winner Alexander Rossi hit the top of the times in the final seconds of third practice, nudging aside Graham Rahal by 0.1278sec. Former Acura Grand Prix of Long Beach winner Ryan Hunter-Reay admits that he can’t help thinking of the many times when the race got away from him. Chip Ganassi Racing’s five-time and reigning IndyCar champion Scott Dixon led Friday afternoon practice at Long Beach, beating the morning pacesetter Ryan Hunter-Reay by 0.0494sec. Ryan Hunter-Reay sent Andretti Autosport-Honda to the top of the times in the opening practice session for this weekend’s 45th Acura Grand Prix of Long Beach. 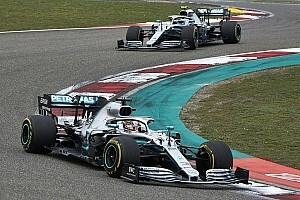 The facts and figures ahead of the fourth round of the 2019 NTT IndyCar Series – the Acura Grand Prix of Long Beach – and the winners from its F1 history, too. This weekend’s 45th Grand Prix of Long Beach sees the NTT IndyCar Series supported by the Prototypes and GT Le Mans cars of the IMSA WeatherTech SportsCar Championship, Pirelli GT4 America, Historic IMSA GTO, Stadium SuperTrucks and the Super Drift Challenge. Here’s what’s on, when it’s on, and how to watch it. NTT IndyCar Series aces Sebastien Bourdais and Will Power today become the first active racers to be inducted into the Long Beach Motorsports Walk of Fame. Sebastien Bourdais will contest this weekend's IMSA WeatherTech SportsCar Championship round at Long Beach with Ford Chip Ganassi Racing alongside his IndyCar commitments. The Honda Indy Grand Prix of Alabama at Barber Motorsports Park saw Arrow Schmidt Peterson Motorsports turn potential into points, and demonstrated the strengths of both drivers and the team. David Malsher reports. 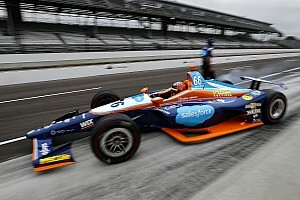 Two-time Formula 1 world champion Fernando Alonso has completed his Texas Motor Speedway Indycar test for McLaren Racing ahead of the 2019 Indianapolis 500.